Bella Pelle’s Chemical Skin Peels are clinical strength, results orientated, corrective treatments and far superior to any ordinary facial in terms of truly visible results and long term durability. Clinical strength means that the chemical skin peels are only administered by doctors, nurses and paramedical aestheticians that have been specifically educated and certified so you can rest assured that you are in excellent hands. Chemical peels are a method of regenerating and resurfacing the skin by inducing a controlled wound to the skin. They remove the skin’s top layers to help induce collagen remodeling and therefore improve sun-damage, skin pigmentation, wrinkles, uneven skin texture, and the overall appearance of the skin. The strength of the chemical peel will determine its depth. Deeper peels will have a greater number of complications and a longer recovery, but also will result in a greater improvement in the skin. 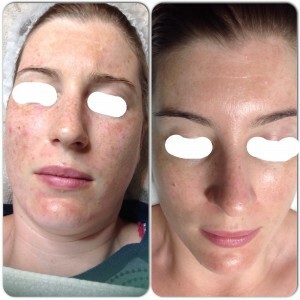 To guarantee you get the results you are looking for, prior to any Clinical Skin Peel your personal practitioner will thoroughly assess your skin using a number of advanced diagnostic skills, consult with you as to the results you wish to achieve and recommend a course of treatments based on your unique skin care needs and lifestyle demands to ensure beautiful results with the least amount of disruption to your schedule. There are several types of chemical peels each suited to different skin problems and types. Chemical peels also vary in strength and are classified as superficial, medium, and deep according to the level of skin they reach. Your therapist will consult and prep you for your peels at least 2 weeks prior to your treatment, ensuring you are giving your skin the best chance for penetration of the peel and to accelerate the healing time. This reduces any risk of post peel complications like post-inflammatory hyper or hypo pigmentation. Generally the prepping regime consists of skin care containing Alpha-Hydroxy acids, Tyrosinaise inhibitors to protect from hyper or hypo-pigmentation, and Retinoic acid (aka Vitamin A). Using this prep method followed by the correct after care will deliver the most amazing results from your Bella Pelle Clinical skin peel. Formulated with the highest concentrations of pure naturally derived botanicals and high octane cosmeceutical correctives. Free of propylene Glycol & Free of mineral oils and other petrochemicals.